The Jacksonville Women Lawyers Association hosted its luncheon at the River Club on March 14. 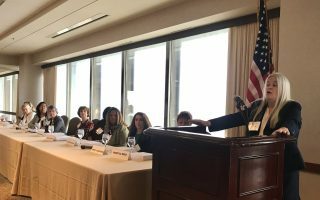 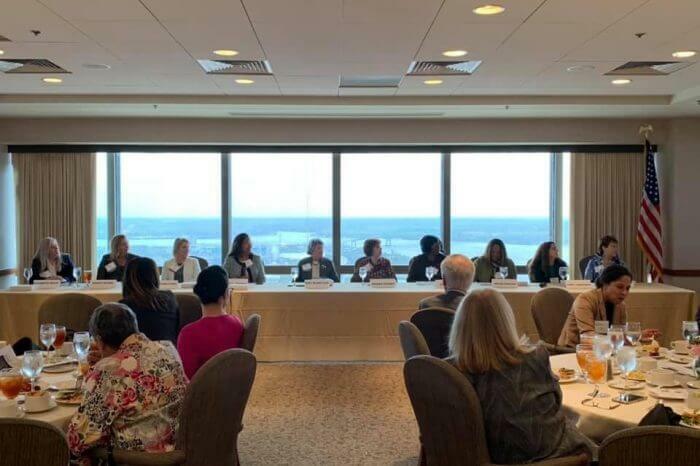 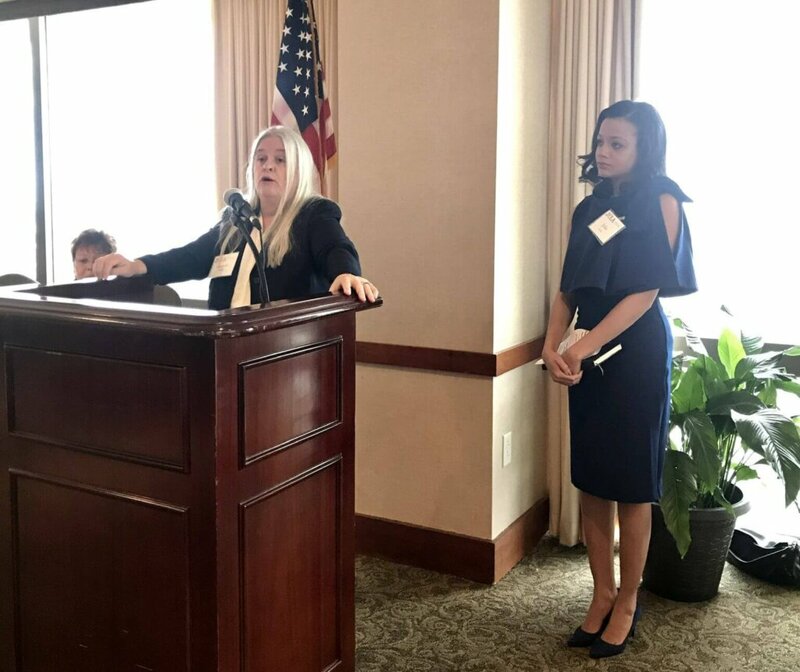 In honor of Women’s History Month, the CLE Program was “Women Lawyers in Jacksonville: Past, Present & Future.” The panel was moderated by CourtTV’s Julia Jenaé. 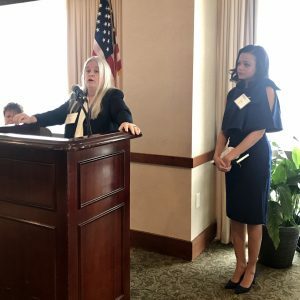 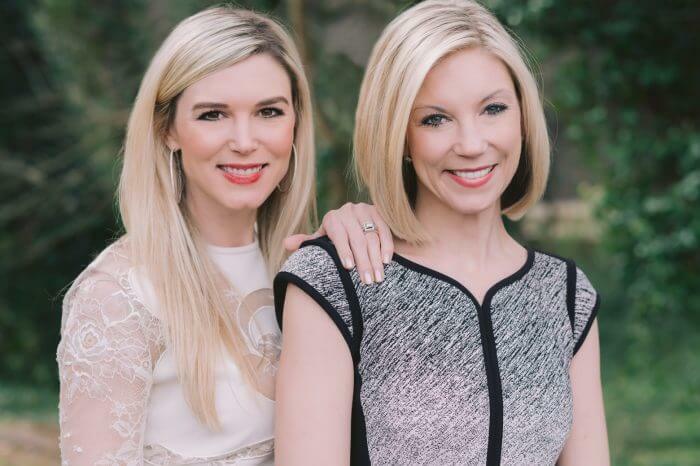 Elizabeth “Betsy” White introduces CourtTV’s Julia Jenaé. 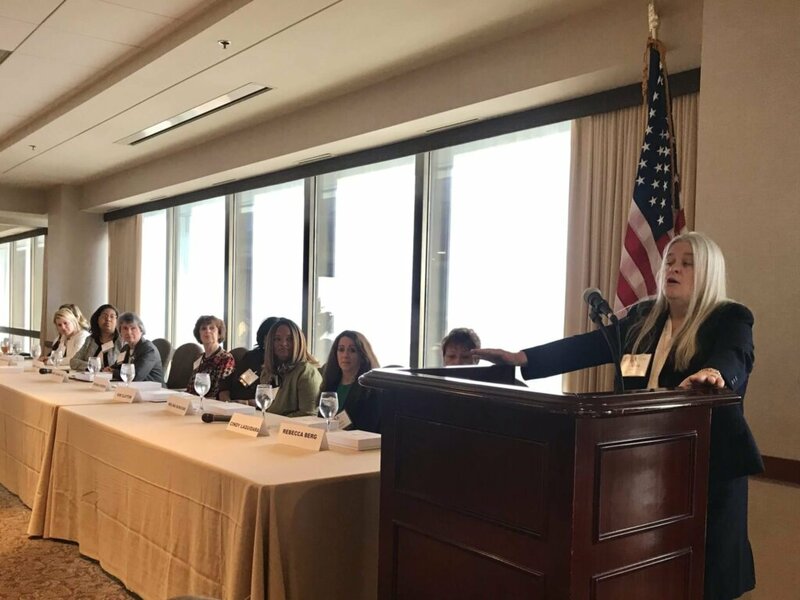 Front Row (L-R): Elizabeth “Betsy” White, Julia Jenaé, Ashley Myers, Cindy Laquidara. 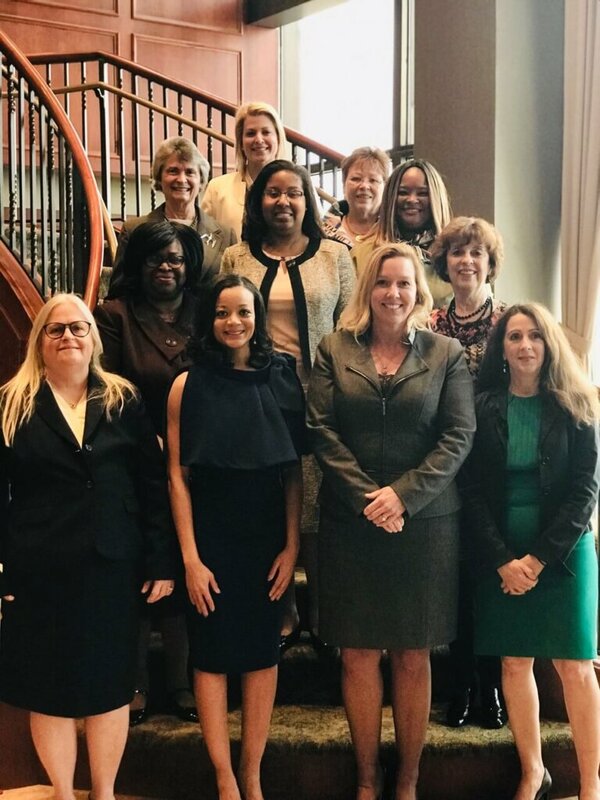 Second Row (L-R): Kim Clayton, Leslie Jean-Bart, Melina Buncome, Brenna Durden. 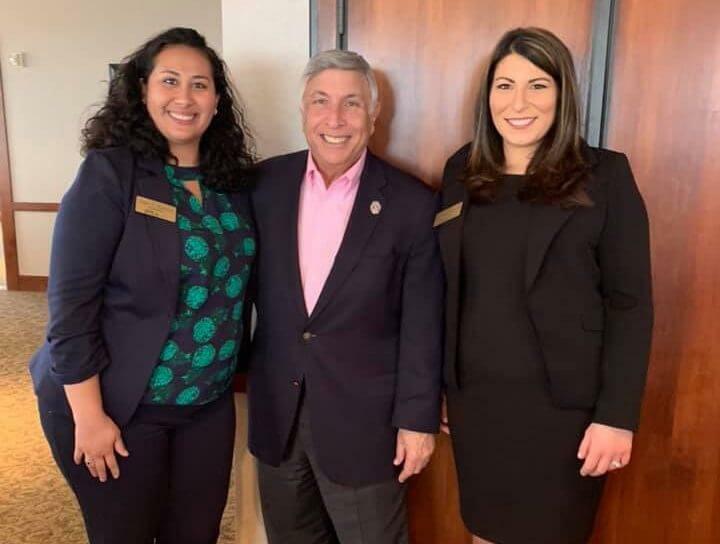 Back Row (L-R): Mary Love, Paola Parra Harris, Rebecca L. Berg. 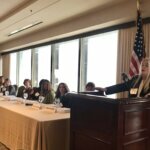 Elizabeth “Betsy” White addresses the panel.